Home to the rich and famous, sleek and elegant Monte Carlo romantically sits on the northern shore of the Mediterranean, continuously enticing tourists to visit from around the world. Before my first visit to Monte Carlo I always wondered if the stories were true: oversized yachts owned by multimillionaires and even billionaires occupying prime harbor front positions, famous actors and business people sipping fine wines gazing out at the stunning Mediterranean, first-class shopping outlets offering the best of the best in terms of shoes, handbags, jewelry and hotels. Are all of these claims true based on my visits to Monte Carlo? Of course they are. The well-manicured Monte Carlo Casino-grounds. After about an hour cruising on the public buses around the city, I moved to the beachfront and decided to grab a drink under the warm summer rays. The drinks were much more expensive than my tour of the city if you know what I mean. As I looked out at the calm water directly in front of me, I began to appreciate the laid back vibe that Monte Carlo offers tourists. Being one of the richest cities anywhere, it was quite clear that tourists were not being consistently pressured into spending money. I sat unbothered and before I knew it a couple of hours had already gone by. As I walked to the harbor area before retiring for the day, I couldn’t help but notice the cleanliness of the streets and the array of designer shops offering luxurious merchandise that undoubtedly surpassed my travel budget. A cruise ship in the distance beyond the luxurious yachts in the Monte Carlo Harbor. When I arrived at the harbor area I was first distracted by the sheer number of yachts. Of course they varied in size and shape. I soon found myself eager to see if I knew any of the wealthy owners. While I was looking out at the sea a few other backpackers asked me if I managed to check out the Prince’s Palace of Monaco. Admittedly, I didn’t get to see it during my first day in Monte Carlo, but fortunately it wasn’t my last visit to this lavish location. 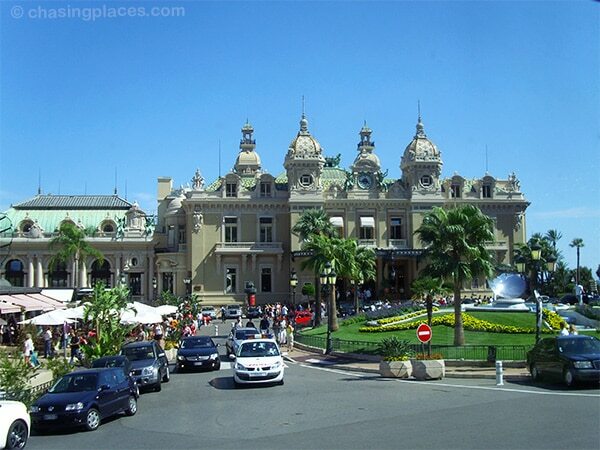 In my upcoming article Part II: The Magnificent Monte Carlo, Monaco, I will feature the Prince’s Palace of Monaco among other exciting things that this city has to offer. Finding the cheapest rooms in Monaco (Monte Carlo). Suggestions. If you are heading to Monaco (Monte Carlo) and you want to compare the location of different hotels click here to access a map (and satellite) feature. It can be found about half way down the page. Monte Carlo isn’t really famous for cheap accommodation. Therefore, if you don’t want to spend a fortune, I would suggest using an effective price comparison site like www.hotelscombined.com. 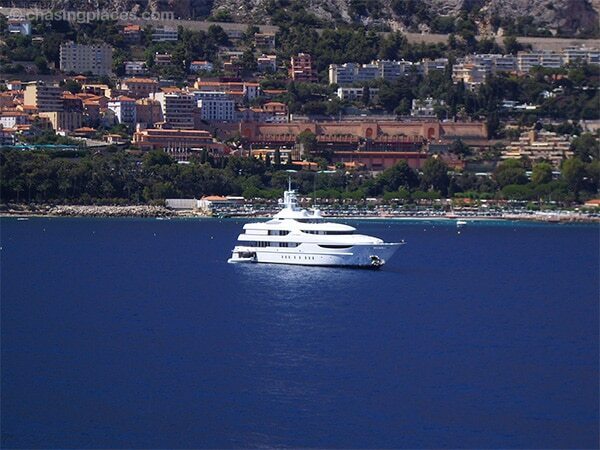 There are a few other good options out there for rooms in Monte Carlo such as www.agoda.com and www.booking.com. All of these sites are well established and highly rated according to our readers. Love this site. Like I said before, I travel through you and your pics and articles. Keep them coming! Great job! Such a great article! Wonderful photos! Can hardly wait for part two. Keep up the good work!